An accessible guide on training the brain to work effortlessly in your favor--from the international bestselling author of the productivity classic Eat That Frog! Discover the secrets for how to think and act like the most successful people in the world and reap the rewards! In todayâ€™s constantly changing world, you have to be smart to get ahead. But the average person uses only about two percent of their mental ability. How can we learn to unleash our brainâ€™s full potential to maximize our opportunities, like the most successful people do? 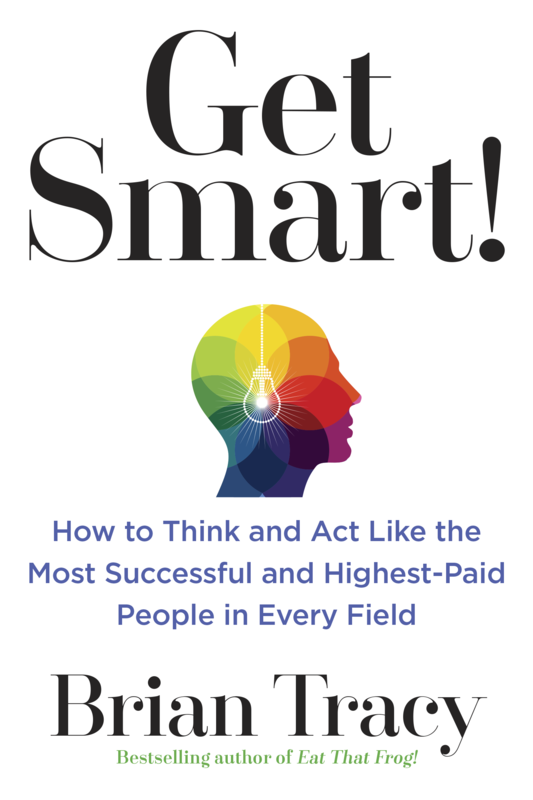 Whether you want to increase sales, bolster creativity, or better navigate lifeâ€™s unexpected changes, Get Smart! will help you tap into your powerful mental resources to obtain the results you want and reap the rewards successful people enjoy. William James of Harvard wrote, "The greatest revolution of my generation is the discovery that people, by changing their inner attitudes of mind, can change the outer aspects of their lives." You and your mind are extraordinary. You have 100 billion brain cells, each connected by ganglia and neurons to as many as twenty thousand other cells. The total number of thoughts that you can think is therefore equal to one hundred billion to the twenty thousandth power. According to brain expert Tony Buzan, this means that the number of ideas you can generate is equal to the number one followed by eight pages of zeroes, more potential ideas than the number of all the molecules in the known universe. The question is, "How are you using this powerful mental supercomputer?" You have the mental ability right now to set any goal and achieve everything you could ever want or hope for in life. By using your brainâ€”your ability to think, plan, and createâ€”with greater precision and accuracy, you can solve any problem, overcome every obstacle, and achieve any goal you can set for yourself. Your mental supercomputer is so powerful that you could not use your full potential if you had a hundred lifetimes. When I was twenty-one, I was impressed when I heard that the average person uses only 10 percent of his or her mental ability. I later learned that the true number is closer to 2 percent. Most people have enormous reserves of mental capacity that they fail to use, that they are apparently saving up for some good reason. Imagine that you had inherited a bank account containing $1 million and growing regularly with interest. But you only ever accessed twenty thousand dollars of this amount because you lacked the necessary code to acquire the rest of your money. The remainder of this wealth was yours, but you couldn't get at it, because you did not know the correct account number that would release these funds to you. This ist he situation of most people. They have enormous stores of mental ability that they habitually fail to use. In the pages ahead, you will learn a series of simple, practical, proven ways to tap into more and more of your natural thinking talents and abilities. You do not need to become more than you are or someone different. You only need to become all that you are already and to unleash more of your existing mental powers. "Get Smart! will show you how Brian Tracy has earned millions of dollars and created a loyal clientele that spans the globe and how you can too. Be smart...invest in two copies and give one to a friend." BRIAN TRACY is a leading international authority on success and achievement and is the bestselling author of Eat That Frog!, among others. He serves as chairman and CEO of Brian Tracy International, a company specializing in the training and development of individuals and organizations.